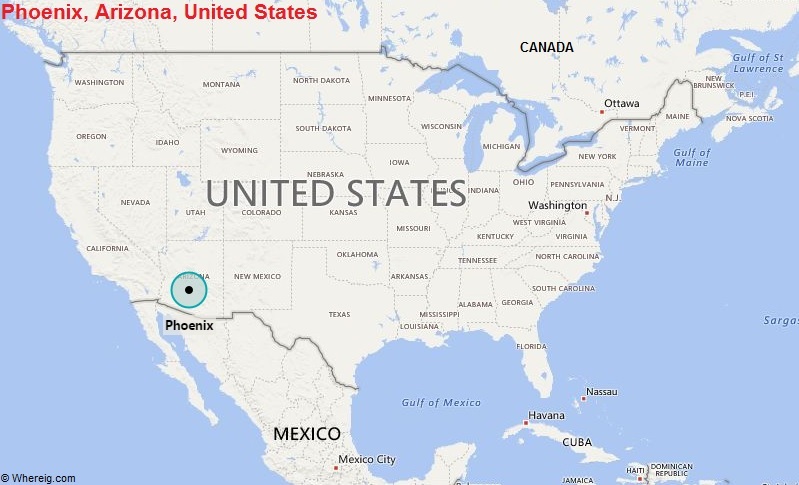 About Map: Map showing the Location of Phoenix in the US. Phoenix is a city found in Arizona. Phoenix is in the southwestern United States, in the south-central portion of Arizona, about halfway between Tucson to the southeast and Flagstaff to the north.